In his final days as chief executive of the Camanachd Association, Torquil Macleod says a key challenge ahead is to keep pace with the progress of other team sports and ensure an attractive product to potential new recruits. 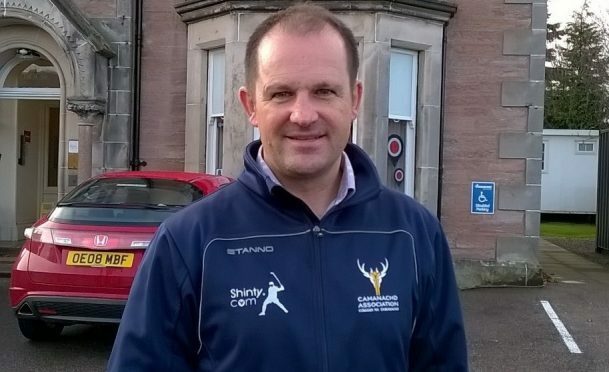 Macleod is moving to a senior post at EventScotland after an impressive six years at the helm of shinty – and his successor will not be in place until next year. It is understood that the association’s board has decided to readvertise the post and may soon make an interim appointment until the new person is selected. “The key issue is making sure the game continues to develop at a positive pace,” said Torquil. “We see the bigger picture on how other Scottish team sports are progressing their product and the association needs to help the clubs by hints, advice and support to go forward on things like improved facilities, coaching and match officials. “Clubs and their hard-working volunteers have their own local agenda. But they can be encouraged to act on the bigger picture, so that a Highland youngster fancying taking up a sport can be tempted by at least as much of a quality product in shinty than in, say, hockey, rugby or football. “These young people will choose what they think offers the best experience — and we need to persuade them shinty is the place to go. Camanachd Cup finals have been highlights of his time, he stresses. “When Newtonmore won the cup in 2011 for the first time in 25 years I was struck by the emotion of their supporters, the Kingussie-Glenurquhart final in 2014 was the biggest crowd of my time while Lovat winning last year for the first time in 63 years was another highly emotional occasion.